As a user, you might think the best hosting deal is one that offers you free unlimited bandwidth, but this isn’t always the case. It’s a common mistake to avoid, and by far not the only one. To help you out, we created a list of the top 5 web hosting mistakes website owners make. This is a key mistake; a classic case of "always read the small print." Be it your “unlimited” cell phone tariff or features of website hosting, as a rule of thumb, a company offering something unlimited is likely not showing you the whole picture. Usually, clauses in the terms and conditions specify that “unlimited” actually means “within reasonable use.” Just like an all you can eat buffet: at some point you’ll be asked to pay more or leave. Most websites don’t need unlimited bandwidth, just like most people don’t need to eat everything at the buffet, so in reality hosting companies rarely offer it. With that said, the best Website Hosting providers, such as Bluehost, do provide unlimited bandwidth that really is unlimited. Many companies, including the industry leader iPage, offer 24/7, 365 days of the year support to help you with any web hosting issues. Of course this doesn’t reflect on the quality of service. But companies that provide regular training to their support assistants will proudly let you know about it on their websites. If they’re good, this will involve interpersonal training as well as technical. You probably saw this one coming. 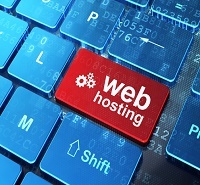 As with anything, there are good, bad, and downright ugly options for web hosting. There are scams, bad companies which don’t value you as a customer, and companies that don’t operate ethically.